The Global Warming Policy Foundation (GWPF), chaired by former Conservative chancellor Nigel Lawson, has recently launched an inquiry into the reliability of global surface temperature records, with a group of international “eminent climatologists, physicists and statisticians” set to probe current data. 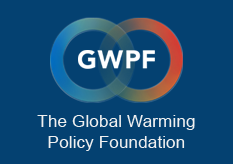 With different sets of results appearing to conflict each other, the GWPF say they have received questions and concerns about which records are accurate and why some adjustments in temperatures are made over the years. One key issue which Dr Peiser claims has caused confusion is a discrepancy between surface temperature data and satellite findings. Figures from the US National Oceanic and Atmospheric Administration (NOAA) use a network of ground-based weather stations to compile their results and recently predicted that this year will outrank 2014 as “the hottest ever”. However findings from Remote Sensing Systems (RSS) and the University of Alabama (UAH) – which use satellite data – show a strikingly different picture, with neither showing last month as the hottest March on record, nor 2014 as the warmest year yet. Dr Peiser told Express.co.uk: “There’s a lack of clarity, a lack of transparency and a growing concern about what is going on. Another issue is a supposed lack of widespread weather stations – resulting in some temperature figures having to be estimated, Dr Peiser claimed.One area where Dr Peiser claims there are few weather stations are the North and South Poles, of which melting ice has often been a key concern for some climate scientists.Other issues which Dr Peiser says should be addressed are a change in technology and environment, which he claims needs to be accounted for when displaying temperature results. He said: “In some areas there are hardly any weather stations so [the figures] have to be filled in, so they [metrological agencies] kind of estimate. Particularly in the Arctic and Antarctic, there are very few weather stations so you have to make a lot of infilling. “Then there are other problems. Obviously you have to adjust temperatures for growing cities and so therefore this will have an affect on local temperatures. “Different technologies will also produce different readings, simply because the technology has changed and you have to take that into account. “But all these adjustments, you would expect, should balance each other out. So you should expect that some of the adjustments will reduce the temperatures and some adjustments will make them warmer. “The panel will look at whether the adjustments are all going in one direction or are they all balanced.”Dr Peiser also highlighted how some of those researchers who provide temperature records are highly opinionated when it comes to warning of climate change.He said: “People ask why they are the gatekeepers of the data if they have such strong opinions. Should they really be the guardians of data quality and high standards?